Top Five Things to Do in Jaco,..
New Year: 2018 Adventure Resol..
Presenting ‘Munich, Germany’ according to blogger Roobens Fils of Been Around The Globe. When you ask someone “Have you ever been to Munich, Germany?“, either you will hear “No” or “Yeah I went there, for the Oktoberfest festival, I had a lot of beers, and I ate sausages all day, everyday!” Yes, Munich is above all known for this world-renowned event, which attracts six million people annually from around the world. This festival is probably fun and a great experience, we can’t deny it. But Munich has a lot more to offer, and there’s a lot more to experience than getting drunk during Oktoberfest. As you will probably notice if you go to Munich, there are a lot of green spaces and gardens in the city (English garden, Olympiapark…). You’ll see the locals going there to spend time with friends, family… To chill and have a good time. You’ll also notice people use bikes whenever they want to go somewhere. They’re all over the place, and there’s 900 kilometers (560 miles) of bicycle path in the city! Green spaces, bikes… What else then in Munich? 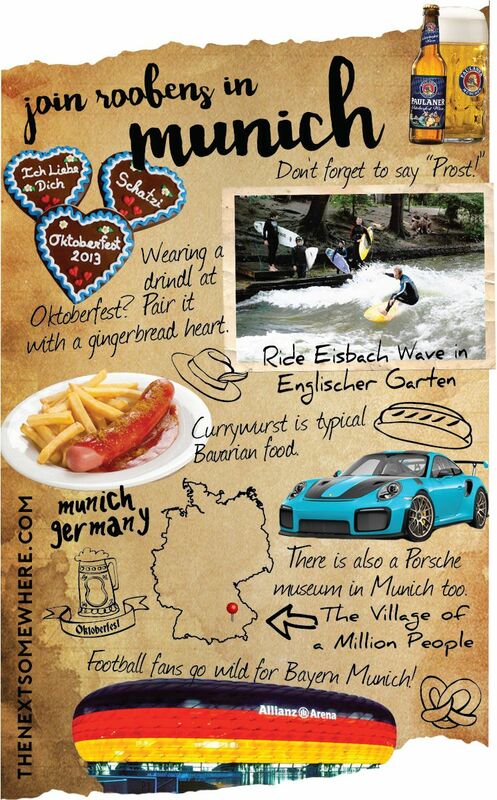 Let’s see with the top five things to do in Munich! The best way to have a great view of the city center of Munich: climbing to the rooftop of St. Peter’s Church! Pretty simple, this church is located on Marienplatz, which is in the city center. All you have to do is to pay three euros to get on top. Oh… And also climb the 306 stairs waiting for you! Yes, this church is 650 years old, therefore there’s no elevator. We hope your legs are ready for this! Give yourself a pat on the back once you reach the top. You’ll get a chance to see the old town and Rathaus, the city hall. We suggest you to go there in the morning, no later than 11:30am. Why? Because getting on top of this church is what most tourists want to do in Munich, and it’s crowded. If you get there in the afternoon, you’ll have to wait to buy your ticket to go up… And the place will be crowded on top, between those taking 200 photos to get the perfect picture, the other ones taking 100 selfies… It will be impossible for you to get a decent picture, and to move on. Opening Hours: Summertime – Monday to Friday between 9am and 6:30 pm, Saturday, Sunday and holidays from 10am to 6:30 pm. Wintertime – Monday to Friday between 9am and 5:30pm, Saturday, Sunday and holidays between 10am and 5:30pm. 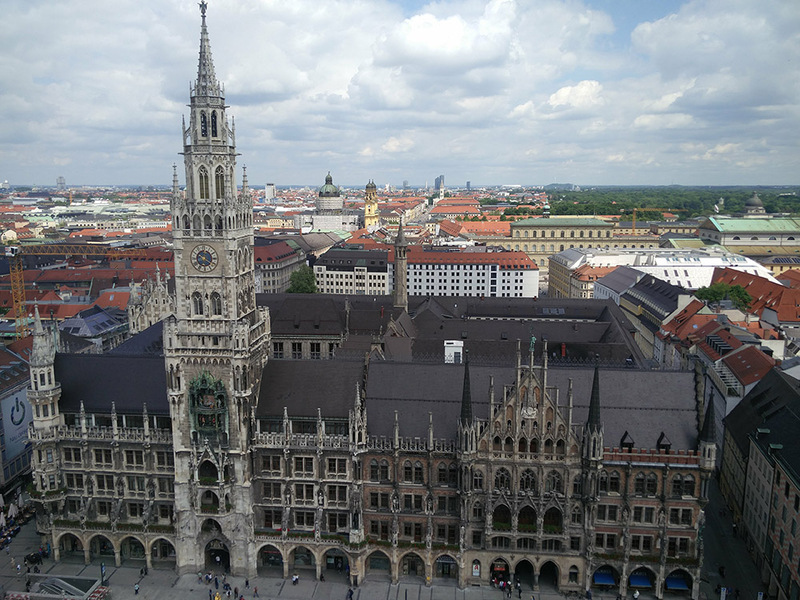 The Rathaus from the roof of St. Peter’s Church. Credit Roobems Fils. Unmissable in the city, the Munich Residence! From the outside, it looks like a banal building, nothing special… That’s just from the outside! 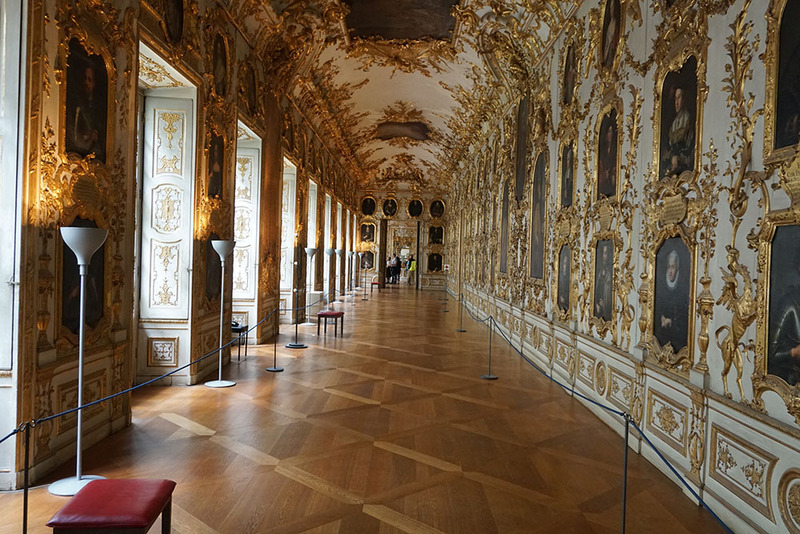 This is the biggest palace in Germany with its 10 courtyards and 130 rooms. It was first built as a castle during the 14th century, and then turned into the residence of the Wittelsbach family (the royal family). It was also a government seat. Unfortunately, this beautiful residence was severely damaged during World War II. But they started restoring it right after the end of the war, and as I said, this place is huge! Therefore, it took almost 60 years, from 1945 to 2003, to restore it! Take some time, at least two hours, to visit this wonderful residence. And don’t forget to walk around Hofgarten, its beautiful garden. Opening Hours: Open daily except for public holidays. From April to October: 9 am-6 pm (last entry: 5 pm). From October to March: daily 10 am-5 pm. 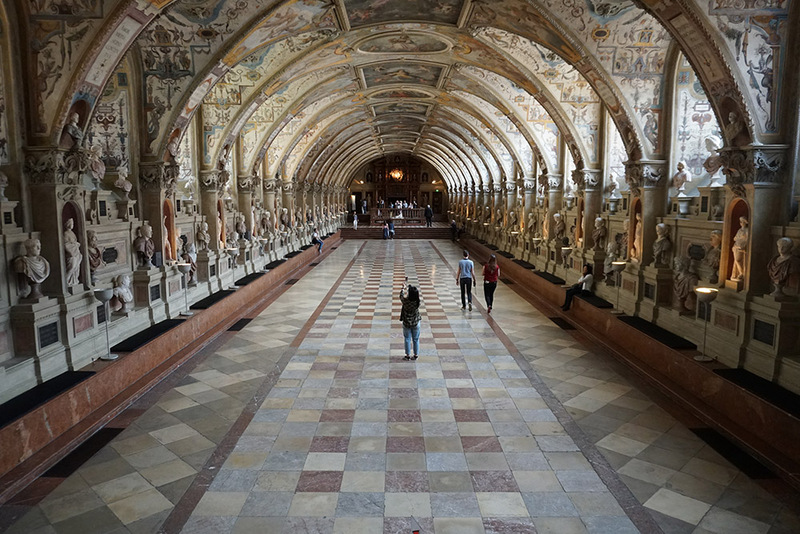 The ornate halls of the Munich Residence. Credit Roobens Fils. The Munich Residence is all the largest city palace in all of Germany. Credit Roobens Fils. As you will probably notice, in Munich there are a lot of nice cars. Just walk around and you’ll see a lot of fancy, flashy, brand new, shiny, beautiful cars. Porsche, Tesla, BMW, Mercedes Benz… They’re all over the place! So you must be wondering “Why go to the BMW museum when I can see nice cars in the street for free?? 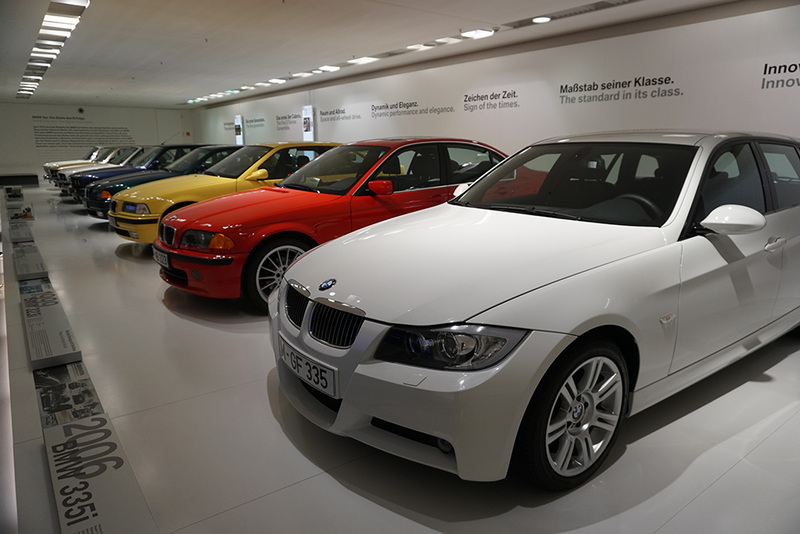 ?” This is a chance to get an intimate look at the history of the group BMW, and of course see nice BMWs. Not only the latest models, but also the first ones, from the 1930s. Very interesting, and there are always little explanations with each car displayed. Still not convinced to pay for this museum? 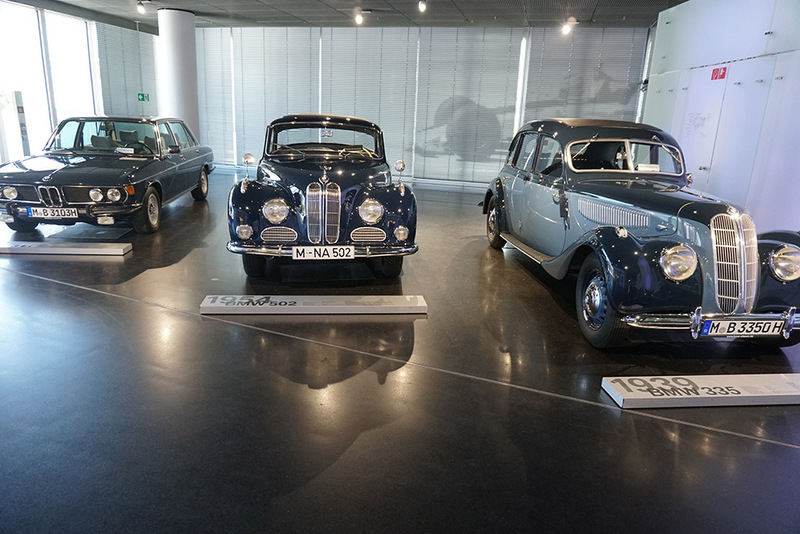 All right, then just go to the opposite building, the BMW Welt. You can get in there for free, you’ll also see BMW cars displayed, and you can even hop in a nice car and take a picture. This time, you have no excuses! Opening Hours: Closed Mondays. Open Tuesday to Sunday from 10 am to 6 pm. Last entrance 30 minutes before closing. Old-school BMW models. Credit Roobems Fils. More modern versions of BMW. Credit Roobems Fils. Try to think about someone who doesn’t know Michael Jackson…? So…? Did you find someone? Nope, this is pretty much impossible! From the US to Kenya, from Thailand to Peru, from Iceland to New Zealand, he’s probably the most famous artist to this day. Even the young generation knows him. 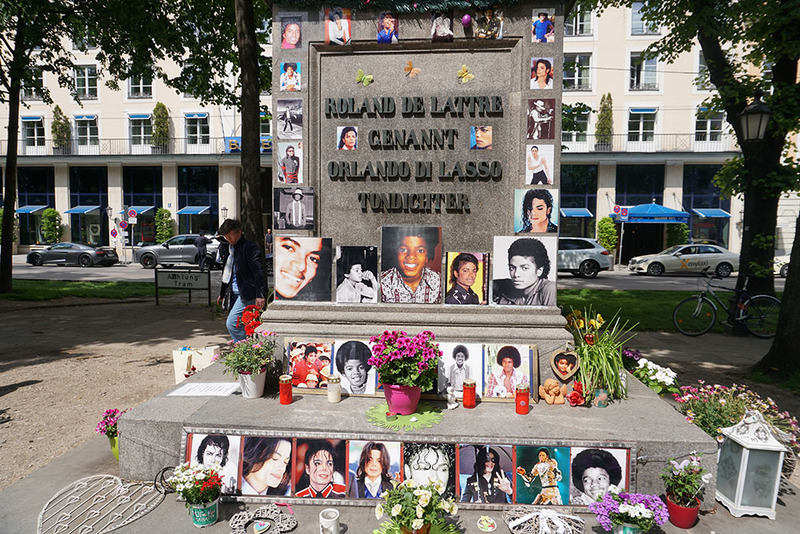 Not surprisingly, when he passed away in 2009, the whole world was in a state of shock, and right after he left us, Promenadeplatz, in Munich, became a memorial and shrine to Michael Jackson. If you go there, you’ll notice Michael Jackson is still very popular. There are always dozens of people at the memorial (locals and tourists), admiring pictures, poems, and flowers there. Fans come in by the thousands to drop their offerings. Credit Roobens Fils. Actually this one is not exactly in Munich. It’s two hours away from the city. 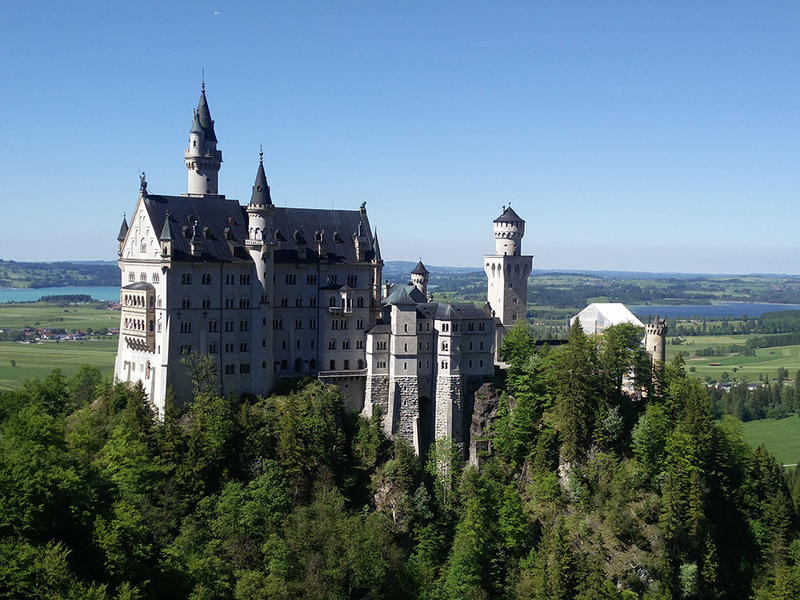 But almost all the tourists who go to Munich, take a day to visit Neuschwanstein Castle. It’s an unmissable if you’re in the area. This castle was built upon request from Ludwig II from Bavaria, during the 19th century. He died before the completion of the castle, and it’s open to the public now. This castle was a source of inspiration for Walt Disney’s Sleeping Beauty, and wow, what a beautiful castle. Since it’s a very popular one (thousands of tourists go there everyday), it’s better to go there early. Otherwise you’ll have a hard time trying to take good pictures with all the people around you. More information about the castle here. How to get there: If you wanna see this beautiful castle, go to Hauptbahnhof, the main train station, and ask for a Bayern ticket. Tickets will be €27. Ask the guys at the information center, and they’ll tell you exactly which train to take to get there. Price: Tickets must be bought in advance in Munich since the castle does not sell tickets. But on the plus side, the tickets have a stamped entrance time. Admission is €13 (plus €1.80 for reservations made in advance). The castle that inspired the Sleeping Beauty castle. Credit Roobens Fils. The Beer and Oktoberfest Museum, because we’re in Bavaria! (Sterneckerstraße 2, 80331) We all know they drink a lot of beer there but why? Let’s try to understand a bit more. In this museum, you’ll see photos, videos, documents about the history of Bavarian beer, the history of Oktoberfest, why they drink that much beer in Bavaria… Small museum, you can get there for 4 euros. Olympiapark and English Garden, because we’re in Munich! As we said earlier, there are a lot of green spaces and gardens in Munich, and those two are nice, just to relax, jog, have a good time… You’ll see stands selling typical Bavarian food : sausages, pretzels, beers… The Eisbach Wave is also located in the English Garden, where a manmade wave has been created for surfing enthusiasts! Olympiaturm (Olympiapark, Spiridon-Louis-Ring 7, 80992) is a big tower located inside Olympiapark. You can get on top of that tower for 7 euros, 200+ meters above ground, and have a 360-degree view of Munich. Nymphenburg Palace (Schloß Nymphenburg 1, 80638) is a little bit further than the other spots, but still, this is a palace you cannot miss! For six euros, you can see it. It was the summer residence of Bavarian rulers. The Palace is divided into different pavilions and wings. Don’t forget to spend some time in the gardens surrounding the palace, they are splendid! Wombats City Hostel Munich (Senefelderstraße 1, 80336) is one of the most popular hostel in Munich, and its location is perfect, very close to the historical center. Dorms only. Euro Youth Hostel (Senefelderstraße 5, 80336) is close to Hauptbahnhof, the main train station, and there’s also a popular bar onsite. Dorms and private rooms available. Meininger Munich City Center (Landsberger Str. 20, 80339) is also a good option. Dorms and private rooms available. 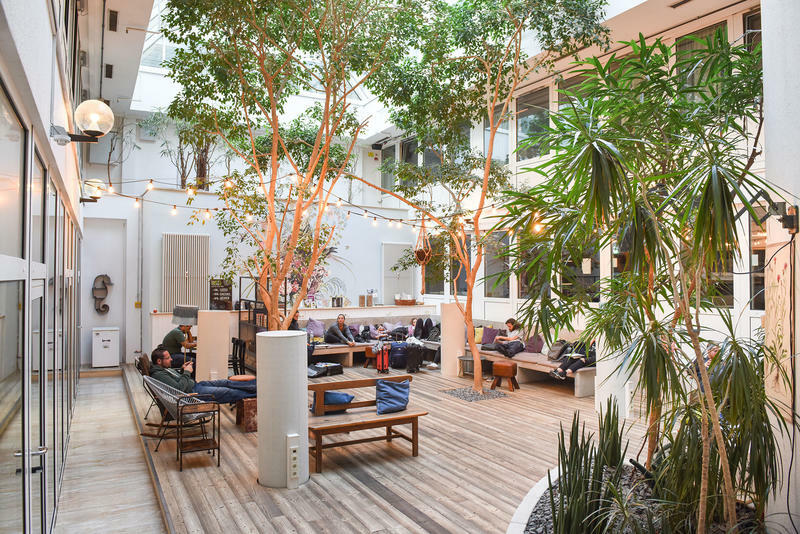 The common space for Wombats Hostel in Munich. Credit Hostel World.  Special thanks to Roobens for sharing his must-dos for Munich! Have you ever visited an of these sites in Munich, Germany? Comment below! 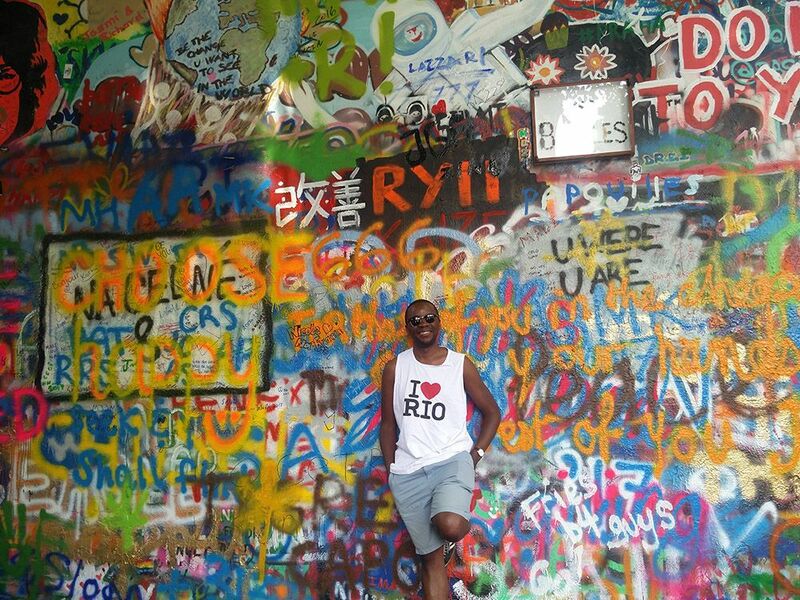 Roobens Fils of the travel blog, Been Around The Globe, was born and raised in Paris. Before becoming a full-time traveler, he had the pleasure of seeing different areas of the world, including: the Bahamas, Haiti, Brazil, Tunisia, Sweden, the UK, Ireland, Montenegro, Malta, Hungary, the United Arab Emirates, Thailand, Australia, to name a few. Hi ability to speak French, English and Spanish allowed him to really immerse himself in the countries he visited, to exchange, and to communicate with the locals. After working a traditional job for a few years, he decided to leave France, and started his solo travels around the world. Follow his journey around the world, with some advice, and his perceptions of the different places he encounters… he tries to be as pertinent as possible! I never knew there was a memorial for Michael Jackson in Munich!